Video games continue to exert their seemingly ubiquitous dominance over our lives. This past summer saw national news coverage trumpeting the popularity of Pokémon Go, as participants ran around attempting to capture Zubats, Lickitungs, and the like (at least gamesters were outside, getting some fresh air). This unprecedented craze created headlines across the country, as millennials happily revisited the days of their Pokémon-obsessed childhoods. ~Kathleen McBroom, "Gaming and Coding Unlocked"
Do you have a video game enthusiast in your life? Are you bewildered by gaming? Are you a fanatic about retro-gaming? We are not huge gamers ourselves, but we try to keep up - to that end, we've compiled some resources from the library catalog you might enjoy, or use to keep up with the gamer in your life. There are a few books the video gamer in your life might enjoy in the library catalog, such as books featuring aspects of recent game sensations like Minecraft, Legend of Zelda, Halo, Dark Souls, and World of Warcraft. The catalog does feature some books about designing video games, mostly aimed at kids and teens, including Coding Computer Games with Scratch by Jon Woodcock, which was used in a recent teen/tween program at one of the libraries. 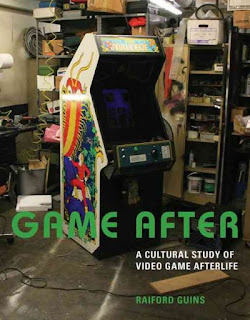 1001 Video Games You Must Play Before You Die is also highly recommended as a resource, as it not only describes the games but suggests gamealikes. Also, if you are interested in finding more about a particular video game, consider checking out IGN.com, billed as "your site for Xbox One, PS4, PC, Wii-U, Xbox 360, PS3, Wii, 3DS, PS Vita & iPhone games with expert reviews, news, previews, trailers, cheat codes, and more," and Encyclopedia Gamia, "a database devoted to all games and video games and their respective franchises, gaming hardware, and the companies involved." Most players use online sources and wikis for cheats and other game information.